These days even the lowest priced home theater projectors can put up a terrific big screen picture despite their dirt cheap prices. 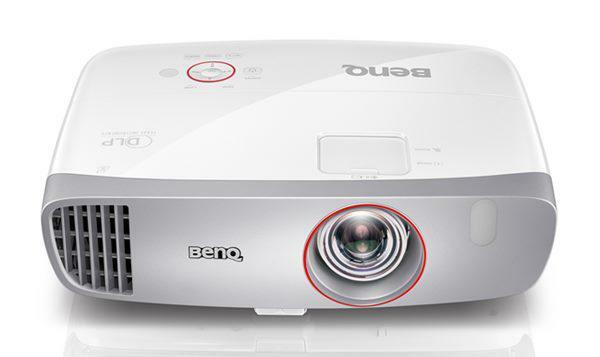 The native resolution of these projectors is 1920 x 1080, which is perfect for the display of Blu-ray movies and Full HD 1080p video from streaming sources like VUDU, Netflix, and Amazon Prime. Most of the projectors below put out plenty of light to fill a 120" diagonal screen, or even larger. That is 3 times the size of a 70" flat panel TV - large enough to give you the truly immersive movie theater experience in your own home. Beyond the dramatic picture size, another key advantage of the projector is that it gives you the beauty and balance of natural reflected light, just like you experience in a commercial movie theater - not the glare you get from a flat panel TV. Big screen TVs are great for lights-on viewing in entertainment rooms, but once you experience the quality of light and the massive screen size of genuine home theater, you will see that stepping up to a quality home theater projector brings you into a new world of visual entertainment that is impossible to get from a 70" TV. And that step up in quality is cheaper than ever with this collection of the current best selling home theater projectors under $750.